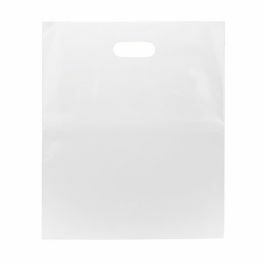 15" x 18" Frost Retail Handle Bags are great shopping bags for prints, shoe boxes and other large items. 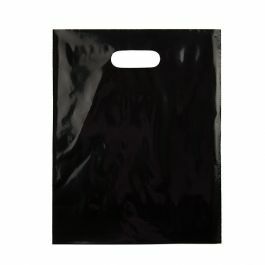 At 2.25 MIL thickness, these die cut handle bags comply with single-use bag ban laws and are made of recyclable material. Great for trade shows and conventions. Frosted material provides an upscale look while still allowing content to be seen. 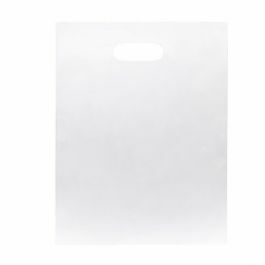 This 15" x 18" frosted reusable shopping bag is a great option for retails stores or promotional booths. 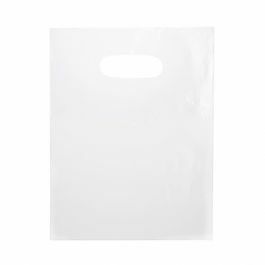 These bags are considered reusable and will meet single-use bag ban laws. 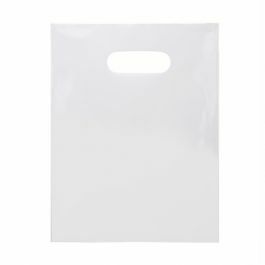 These frosted bags allow contents to been seen while providing a premium feel. 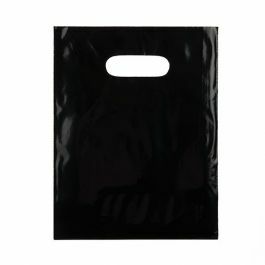 They feature die cut handles for easy carrying. 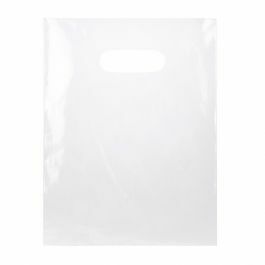 The 15" x 18" size will hold standard shoe boxes and other large items. Made of recycled material. Custom sizing and printing is available. 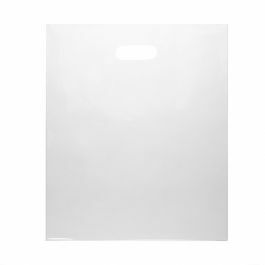 Outer Dimensions: 15" x 18"
Inner Dimensions: 14 7/8 x 15 3/8"